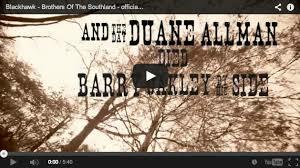 Brothers Of The Southland lyric video premieres at theboot.com! Theboot.com has premiered the lyric video for Blackhawk’s title track, off their upcoming Loud & Proud Record’s debut album, “Brothers Of The Southland.” The single is available now from iTunes, and you can pre-order the album from Amazon. Click below to watch the video!